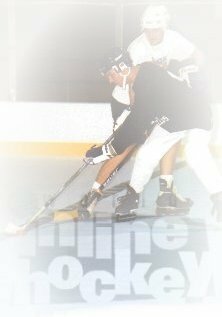 Inline hockey has been in Australia for approximately the past 10 years. It is best described as non contact ice hockey on rollerblades and is becoming very popular in Australia in all age groups. The local league fields teams for all ages and abilities. The present divisions are U10, U12, U14, U16, U18, Masters, C, B, A, Womens and Pro Hockey League. To have a 'world class' facility like Puckhandlers Roller Sports Stadium makes the sport more appealing to a broader audience in Australia as well as enables the kids to get their game to a level competitive with those overseas. The sport seems to attract kids who don't normally enjoy traditional sports like football and cricket. For hundreds of years, children and adults have played some form of organized roller hockey in parking lots and traditional roller skating rinks on skates that were known as quads (4 wheels, 2 in front and 2 in the back). Only in the past decade, with the introduction of "Inline Skates" (4 wheels in a row) has the new form 'Inline Hockey' become popular and is commonly referred to as the fastest growing sport in the country. The design of this skate closely resembles that of an ice hockey skate allowing the player to maneuver easily as he/she is able to make the sharp turns and quick stops needed to play the game. This makes a for a very exciting, fast game that is very addictive both as a player and spectator. In Australia there are presently 10,000 inline hockey players and the number is growing rapidly. Each year the National teams fly over to the states for International tournaments and get more competitive each time around. Many local kids have gone overseas and managed to be more than competitive and it won't be long before we have some Aussie kids playing in professional teams overseas. Keep your eye on them, you may be proud to call them friends one day while they are on TV strutting there Inline Stuff!